I'm back today with my second Mother's Day themed recipe of the year! Today I've gone for a Coconut & Elderflower Cake with an Elderflower Buttercream Icing. 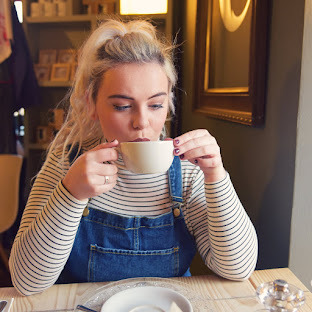 Don't forget to check out my Bitter Orange & Poppy Seed Loaf Cake recipe! Last time I said I would make another cake that was for people who love layers cakes with icing. I always think making something for someone is a lovely thought, especially for Mother's Day, my mam always loves things I've made! 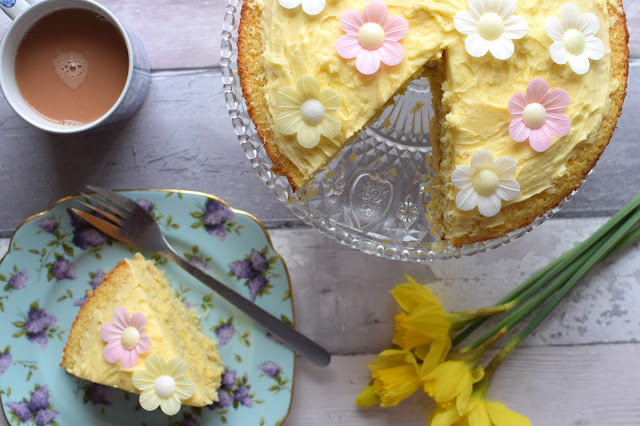 This cake is super delicious, I think it really suits this time of year, just coming into Spring. 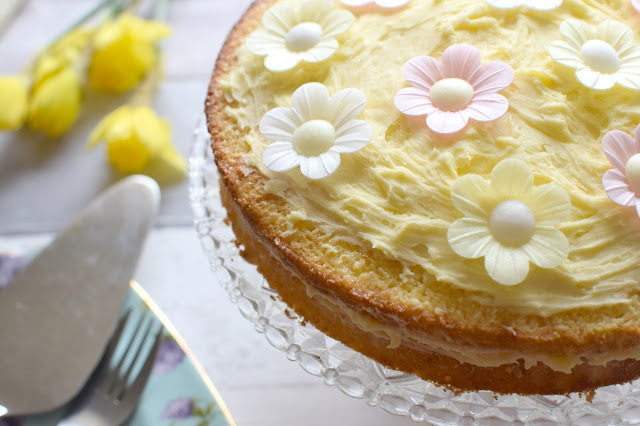 It's fun and girly so perfect for Mother's Day, if your mum is anything like mine, she doesn't like huge fancy cakes with bells on, so this recipe is quick and easy but tastes super yummy. 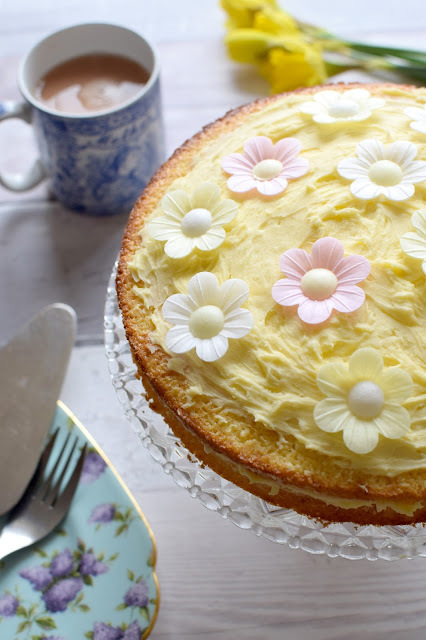 I love the little sugar flowers too, I think they finish the cake off really well! It would be a perfect cake to share with your mum with a nice cup of tea! 1. Preheat the oven to 180 degrees C/160 fan/Gas Mark 4. Grease and line two 20cm sandwich cake tins. 2. Cream the butter and sugar together in a large bowl until light and fluffy. Add the eggs and mix. 3. Add the flour, coconut, baking powder and salt and beat until combined. Pour in the cordial and the milk and mix. 4. Divide the batter evenly between the two tins and bake for 20 minutes until lightly brown and a skewer inserted in the middle comes out clean. 5. Remove from the oven and allow to cool in tins, then turn out onto a wire rack. 6. Make sure cakes are fully cool before icing. Mix the softened butter and icing sugar together in a bowl, add the cordial and mix until combined. 7. To assemble the cake place one layer of cake on a cake stand or serving plate and ice the top with half the buttercream. Place the other layer on top and ice with the remainder of the icing, decorate with sugar flowers if desired.